Think college towns are just for 20-year-olds? Think again. The communities surrounding America’s colleges and universities have become some of the most diverse, intellectually stimulating places in the country. They’re a beacon for museum and theater lovers, a source of sporting events, cultural and political discussion, and they offer classes to anyone who might want to learn something new. Why let the kids have all of that to themselves? To find the best college towns for retirees, Bankrate searched its database of about 200 U.S. cities and towns. We filtered for communities where students make up at least 15% of the college-age population, and then we ranked what remained based on several measurements including cost of living, health care quality, crime and tax rates, community wellness and walkability. We also gave points for communities with a high density of museums and other cultural attractions. Here, in ascending order, are the 10 best college towns for retirees. 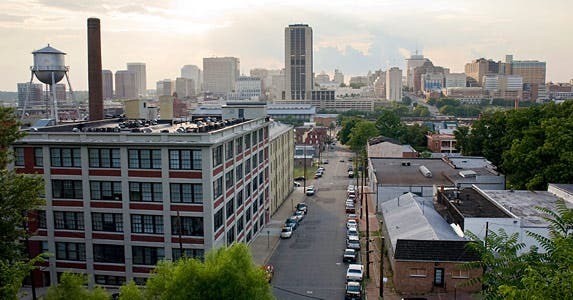 History buffs will find a lot to love in Richmond. The city was founded in 1737 and shaped by the likes of Patrick Henry, Thomas Jefferson and Edgar Allan Poe. According to the Institute of Museum and Library Services, this college city has an impressive 1.43 museums per square mile, including the Black History Museum and Cultural Center of Virginia, American Civil War Museum and Agecroft Hall. It’s also home to several academic institutions, including Virginia Commonwealth University and the University of Richmond. Retirees will enjoy knowing that Virginia’s health care system gets an above-average grade by the Agency for Healthcare Research and Quality. The agency praised how the computer systems at Virginia hospitals track comments from physicians and other necessary documents. It also noted that the state achieved national benchmarks for certain pneumonia vaccinations, and the health care workers showed good levels of communication with patients. Yes, you’ll need a rain jacket in Seattle. But this college city makes up for gray skies in a number of ways. 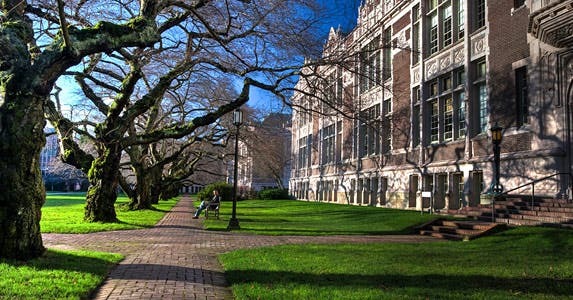 First, it’s home to numerous institutions including the University of Washington and The Art Institute of Seattle. 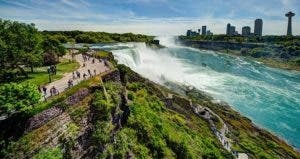 Combine all of that academic and cultural energy with the city’s aspiration to become the most walkable in the U.S., and you have the framework for an excellent place to retire. Seattle also ranks high on our list for community well-being, a measurement from the Gallup-Healthways Well-Being Index, which considers satisfaction, safety and happiness of retirement-age people across the country. 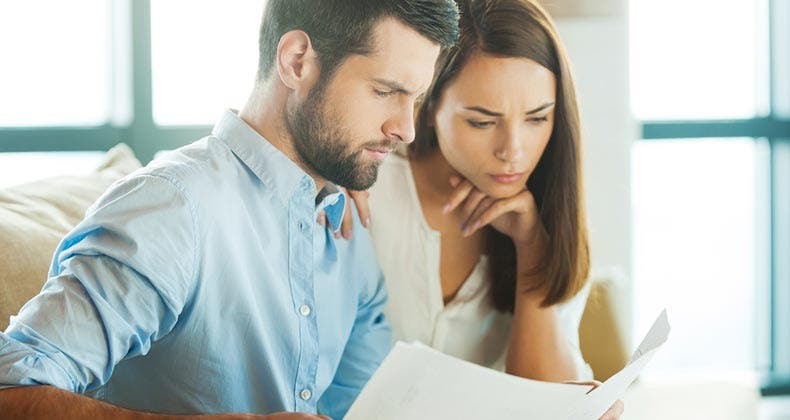 The state of Washington also has a relatively strong health care system, according to the Agency for Healthcare Research and Quality. Aside from the chance to learn, Minneapolis receives high marks for health care quality. 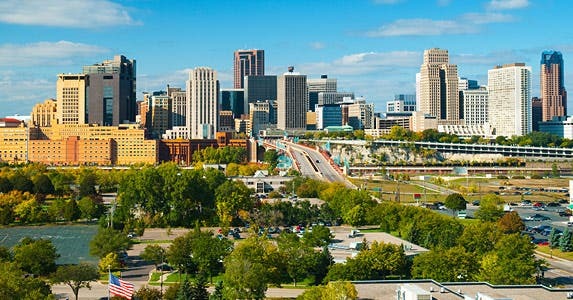 The Agency for Healthcare Research and Quality, which tracks more than 100 different metrics including patient satisfaction and hospitalization rates for various illnesses, gives Minnesota one of its highest grades. AHRQ notes that doctors in Minnesota do a good job listening, showing respect and explaining issues to patients. And the state’s health care system has a good track record for pairing patients with specialists. Retirees who love art and music will be particularly fond of this Texas town. Austin is home to the annual South by Southwest Conferences & Festivals, as well as museums such as the Blanton Museum of Art at the University of Texas at Austin, which has the nation’s largest university-owned collection on exhibit. 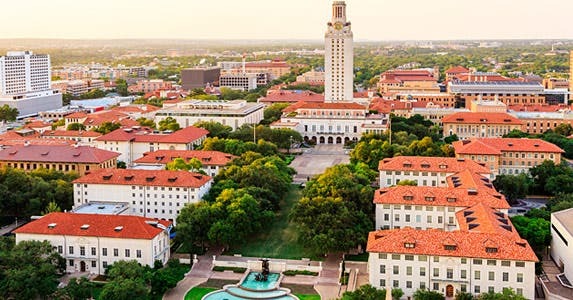 In addition, Austin is among the cities where university associations invest or co-invest in developing residences for alumni, which can be a big draw for retirees. “Baby boomers are (the) most well-educated older generation to date, so this should be a good market for these residences,” Frey says. The University of Texas’ alumni association developed the Longhorn Village in Austin, where senior residents can use the campus library, receive discounts on social events and audit classes. Overall, retirees can get a lot of bang for their buck in Austin. There’s no state income tax in Texas, and the Tax Foundation says residents pay one of the lowest combined tax rates in the country. Not surprisingly, residents of the Austin metro area report high levels of wellness and satisfaction with their surroundings. 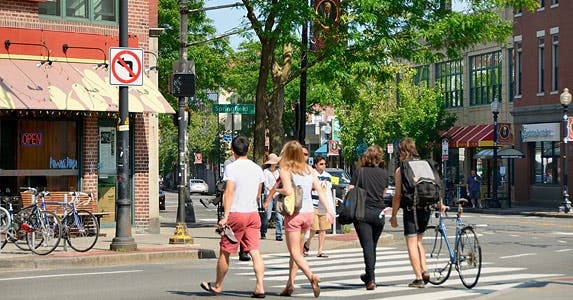 Boston is a college town through and through: More than one-fifth of the population attends an institution of higher education, according to U.S. Census Bureau figures. 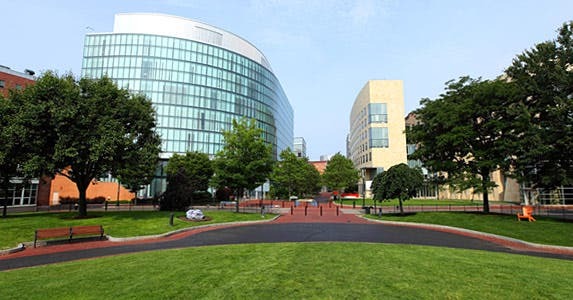 Students flock to well-known schools such as Boston University and Northeastern University, making it an intellectual hub and a great place for retirees to continue learning, whether through school or cultural experiences, such as going to museums. The city boasts an impressive 2 museums per square mile, according to the Institute of Museum and Library Services. And there’s no need for retirees to buy a car in Boston because the city is among America’s most walkable, according to WalkScore.com. 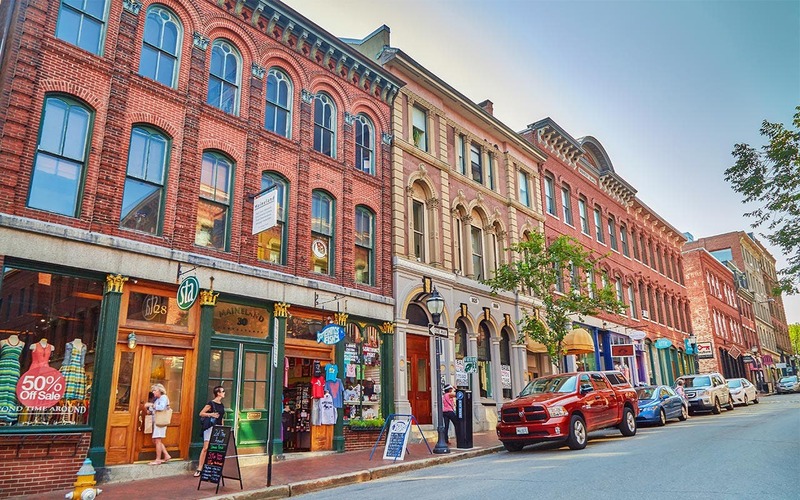 This East Coast town ranks just under San Francisco, New York, Jersey City (New Jersey) and Cambridge (Massachusetts) in terms of getting around on foot. Of course, there’s a price to pay for the convenience and charm of “Beantown” — Bostonians deal with one of the highest costs of living in the country. The state also charges one of the top combined tax rates in the country. St. Paul residents already enjoy a city that’s rich in cultural heritage, with 1.27 museums and cultural institutions per square mile. But, like many college cities, St. Paul is working to reinvest in its heritage, namely through the city’s Cultural STAR Program. The program will use tax dollars to support cultural projects in the area to promote economic growth and revitalize the city’s downtown. 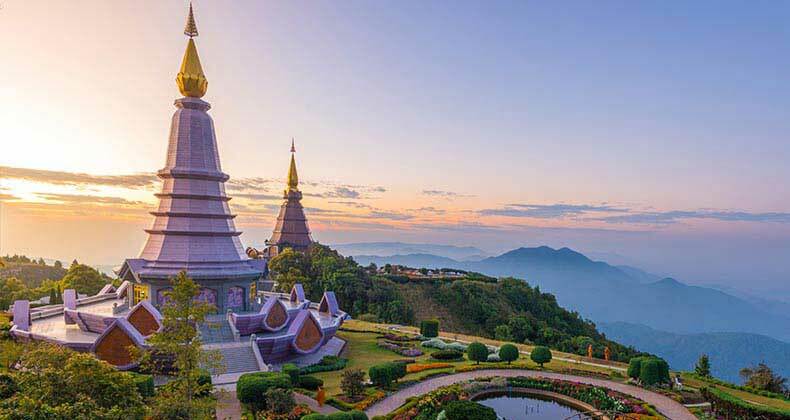 The city also enjoys one of the stronger health care systems in the country, and surveys of retirement-age residents show a strong level of community well-being. St. Paul does have a relatively high cost of living, and Minnesota has a higher-than-average combined tax rate. The winters are also brutal. 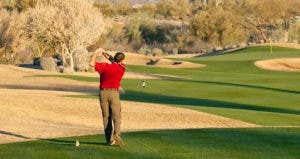 On the other hand, the desert climate of Tucson is sure to lure the 65-and-older set. According to the National Oceanic and Atmospheric Administration, Tucson is among the sunniest cities in the country. So it’s only natural that residents report being satisfied with their surroundings. 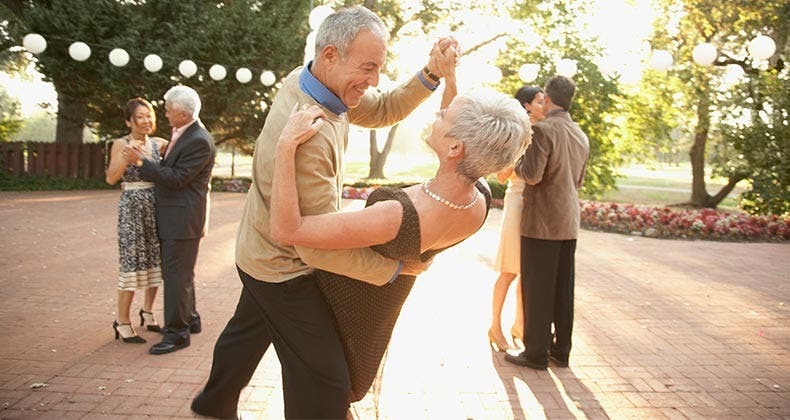 Retirees in Tucson can enjoy concerts and lectures through the Arizona Senior Academy, affiliated with the University of Arizona. 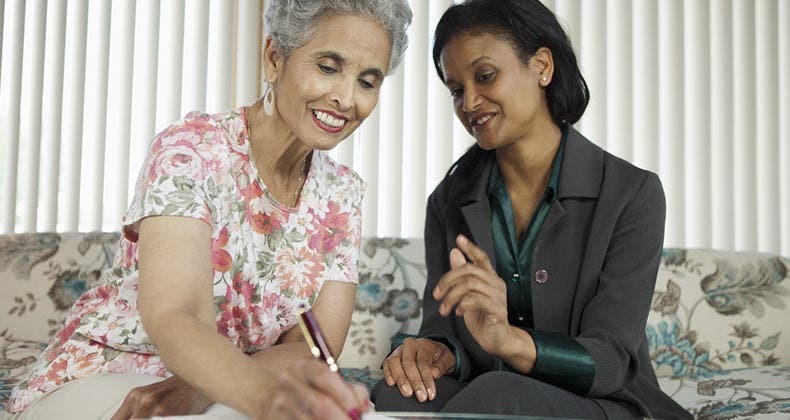 This organization, with the motto “The Smart Way to (Un)Retire,” allows senior citizens to continue learning and immersing themselves in arts and culture. The nonprofit is supported by The Academy Village, a retirement community located in the foothills of the Rincon Mountains and home to engineers, doctors, astronomers and more. Tucson’s cost of living is lower than most of the cities on our list. 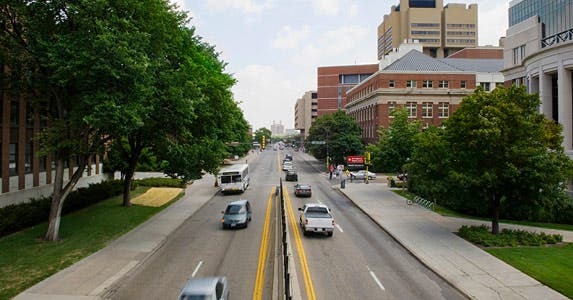 However, unlike many college towns, the city scored below the national average for walkability. Retirees will likely need a car to get around. Baby boomer hippies can rub shoulders with millennial hipsters in this prototypical college town. Berkeley is dominated by its students. They make up 37% of the college-age public, according to the census, and the city does a good job of harnessing all of that youthful energy into something really interesting. 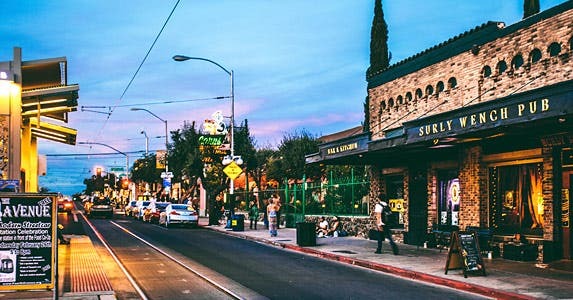 Residents have their pick of entertainment in the city’s downtown arts district, which is brimming with live theater, musical performances and film festivals. The city also packs in 3.05 museums per square mile, according to the Institute of Museum and Library Services. 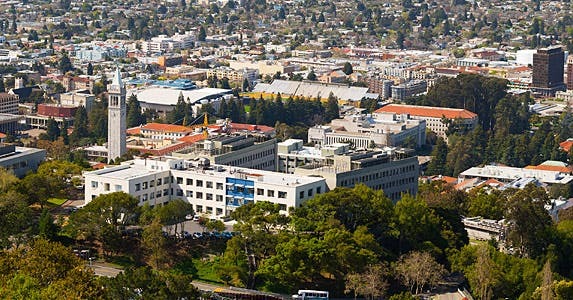 Bankrate found that Berkeley also scores high marks for pleasant weather and walkability. And San Francisco is just a hop, skip and a car ride (or public transit ride) away. 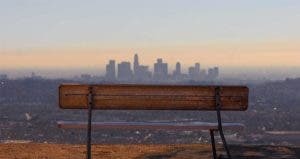 California receives low marks for health care quality, however, according to the Agency for Healthcare Research and Quality. The city scored all-around great marks in Bankrate’s ranking, from high walkability to 3.76 museums per square mile. Residents can enjoy a stroll on the famous National Mall, from the U.S. Capitol to the Lincoln Memorial, and several Smithsonian Institution museums are nearby. 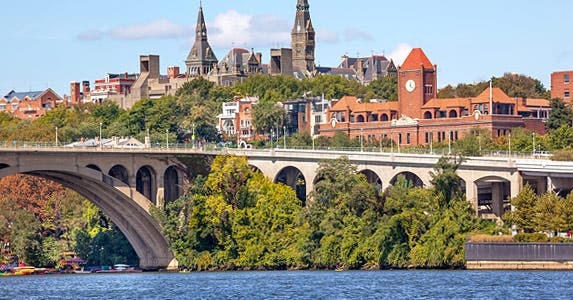 The city is also home to a number of academic institutions, including Georgetown, American University and Howard University. Like many college towns on our list, the nation’s capital has an excellent mass-transit system for those who don’t want to buy a car. Residents will deal with a high cost of living, however, and the crime rate is higher in the city than many of the other cities on our list. Winters can also be a bit frosty, though the city becomes a sea of beautiful blush flowers in spring during the National Cherry Blossom Festival. And the No. 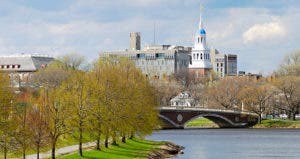 1 college town for retirement is: Cambridge! The home of Harvard and the Massachusetts Institute of Technology is the definition of a college town. Students make up nearly one-third of the city’s population, and its rich academic heritage has fostered one of the best communities in the country for arts and culture. There are nearly 6 museums per square mile in Cambridge, and it’s one of the most walkable communities in the country. 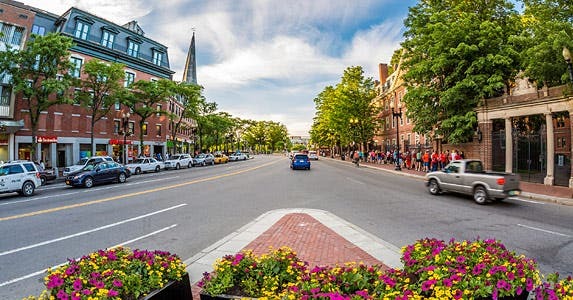 Massachusetts also has one of America’s best health care systems in terms of quality, and that’s perhaps one reason why retirement-age residents in Cambridge have posted relatively strong wellness scores on the Gallup-Healthways Well-Being Index. The winters can be tough, however. And Cambridge has one of the highest costs of living in the country. The average apartment rent in the Boston metro area, which includes Cambridge, was more than double the national average in the 1st quarter, according to the Center for Regional Economic Competitiveness. 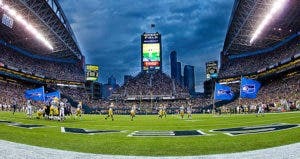 How much for this retirement hot spot?